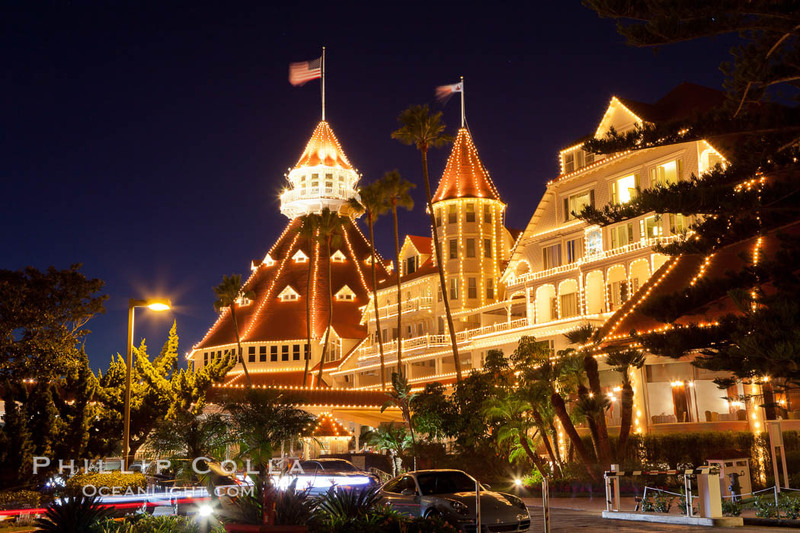 Christmas Holiday Lights at the Hotel Del Coronado in San Diego, California. 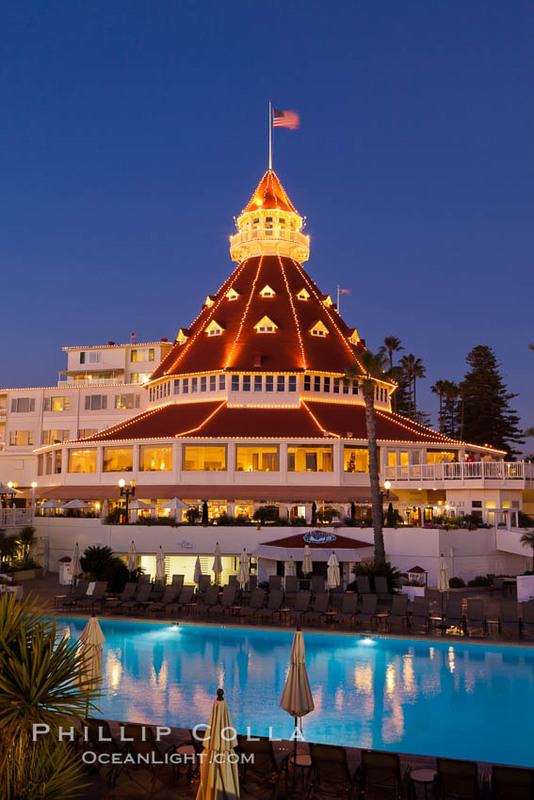 During the holidays I joined my photographer friend Garry McCarthy at sunset to photograph the Hotel Del Coronado on beautiful Coronado Island in San Diego. During the holidays “The Del” puts on quite a holiday show, with a beachside ice skating rink and holiday lights. Garry and I waited until the “blue hour” kicked in and shot some nice images of this distinctive landmark San Diego hotel at dusk. If you like these, take a look at my gallery of San Diego photos. Thanks for looking!